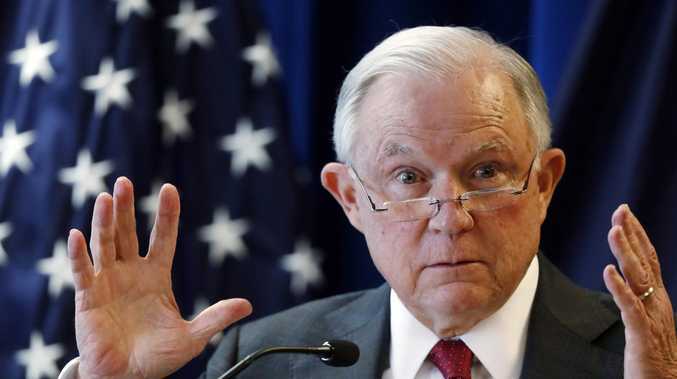 In a tweet with a photo of his resignation letter, Mr Sessions said he was stepping down at the request of United States president Donald Trump. "I have done so to the best of my ability, working to support the fundamental legal processes that are the foundation of justice. "Most importantly, in my time as Attorney-General we have restored and upheld the rule of law - a glorious tradition that each of us has a responsibility to safeguard. "We have operated with integrity and have lawfully and aggressively advance the policy agenda of this administration." It comes as Trump blasts a reporter in a fiery press conference. Mr Trump announced via tweet that Matthew G. Whitaker would be acting Attorney General while a replacement is found. He was the chief of staff to Mr Sessions, who has been the subject of critical tweets from the president in recent months. "We thank Attorney General Jeff Sessions for his service, and wish him well! A permanent replacement will be nominated at a later date," Mr Trump said in a follow-up tweet. It has been a tumultuous tenure as the nation's top law enforcement officer. Mr Trump has been vocal about wanting to replace Mr Sessions, frequently noting his displeasure over the special-counsel investigation into Russian interference in the 2016 election. The New York Times reports that lawmakers and administration officials believed firing the attorney general before the midterm elections would have had negative consequences for Republicans in tight races. So it's no surprise the move comes just a day after midterm elections that resulted in Democrats gaining control of the House of Representatives. Republican retain control of the Senate.